Was it in the 70s, 80s or the 90s? The heyday of these HiFi machines lies far, far behind us, but their retro style is making a strong comeback in all kinds of designer items. Who doesn't remember the iconic first radio, that was once the centerpiece of every living room? Or the old-school record player and the familiar tube with the iridescent test pattern? And no such list is complete without the cassette tape! 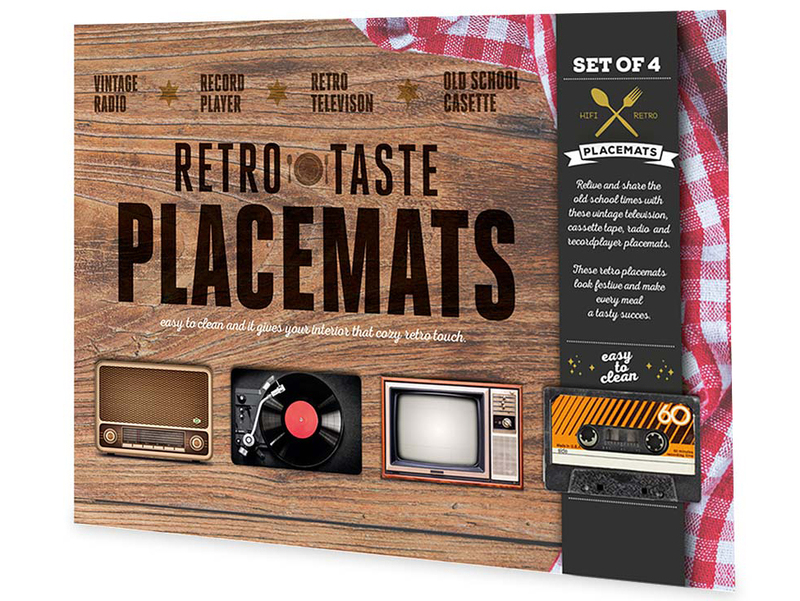 All of these have now returned in the form of gorgeous nostalgic placemats, which will turn your every meal into a trip down memory lane. 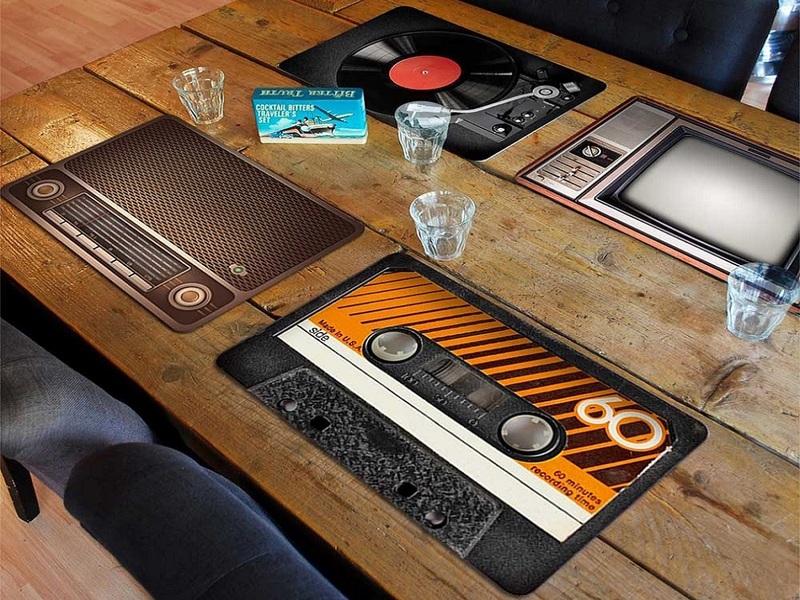 Your interior will get a great retro look, and the placemats also highly practical, thanks to the easy-to-clean plastic.